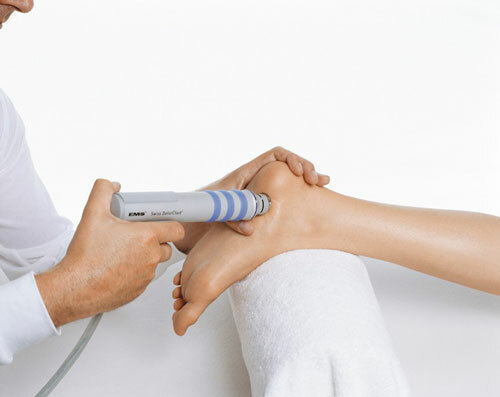 Extracorporeal Shock Wave Therapy, or ESWT, is effective in the treatment of painful and chronic soft tissue conditions such as plantar fasciitis. Developed from technology used in the treatment of kidney stones, ESWT has been widely used in Europe and North America for the past 10 years. Based on high energy radial soundwaves generated through the specifically designed probe, the unit delivers high energy shockwaves into the underlying tissues. This increases vascular flow and improves healing.